You are looking at a 100% silk dupioni dress gown creation that I will custom construct just for you by your own measurements. 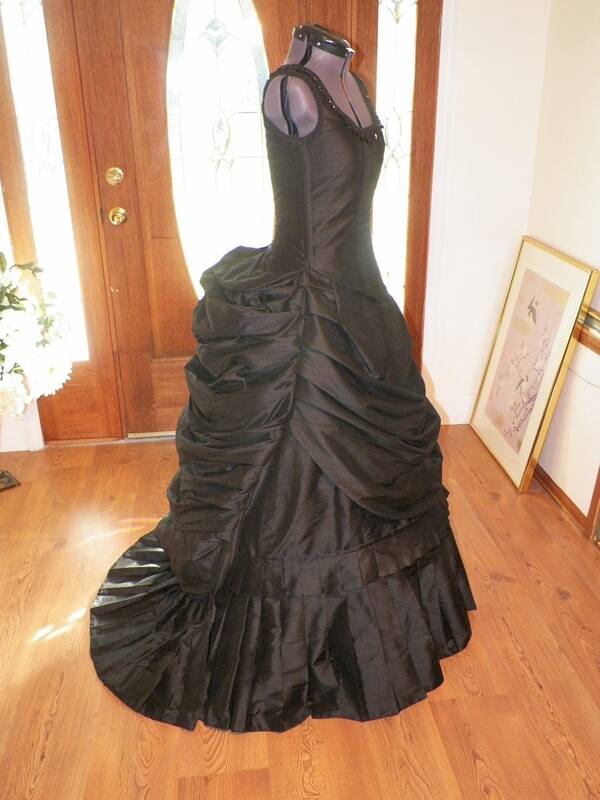 The dress is pictures here in 100% silk dupioni...two colors...black and purple. 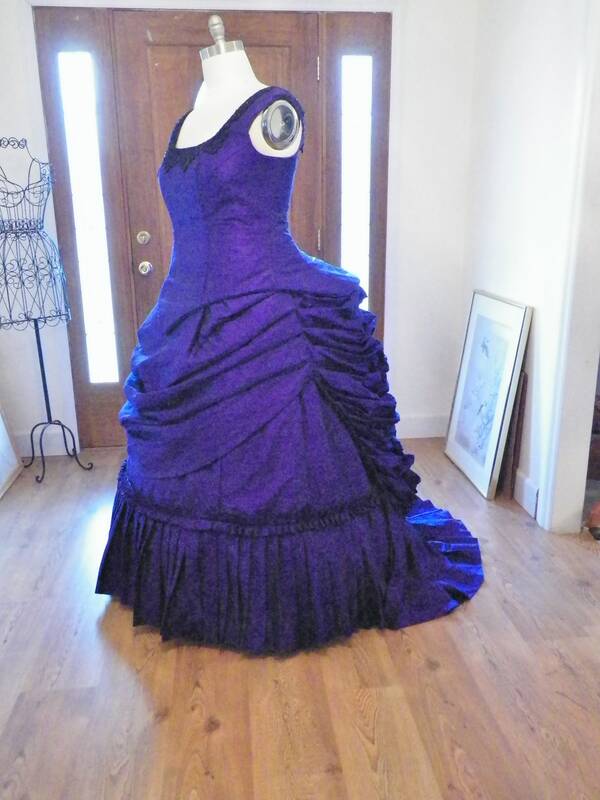 The dress can be made in many other colors. 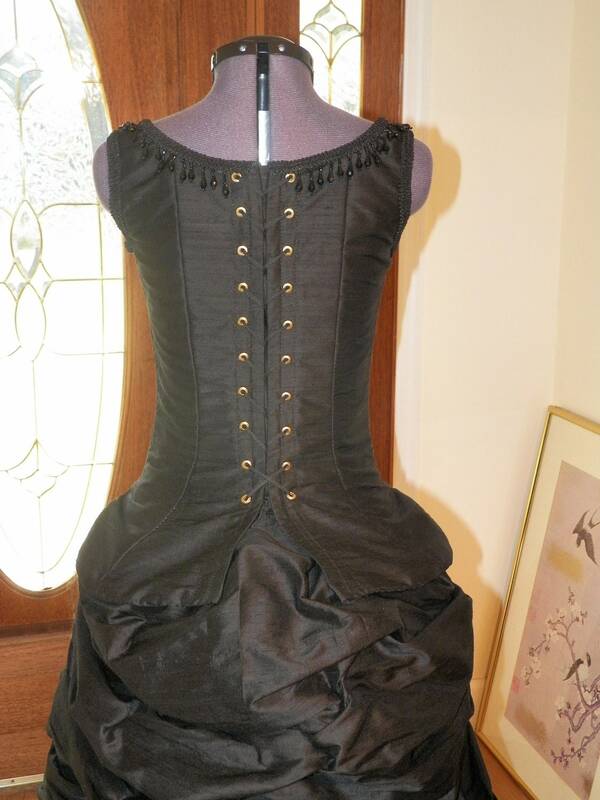 I love constructing Victorian bustle dresses from silk. The silk bustle poufs have such a special cake frosting like fluffiness. 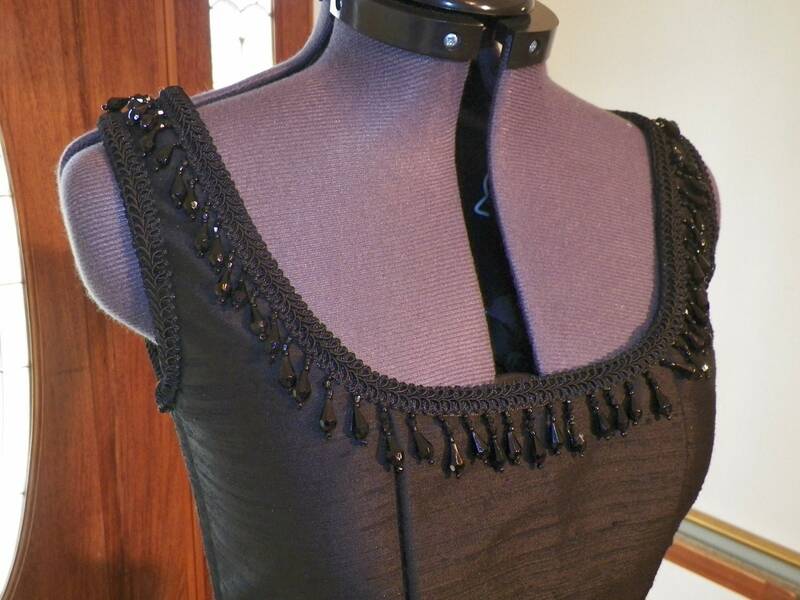 Silk slubs(the nubby lines) add dimension that makes the fabric look very very rich. 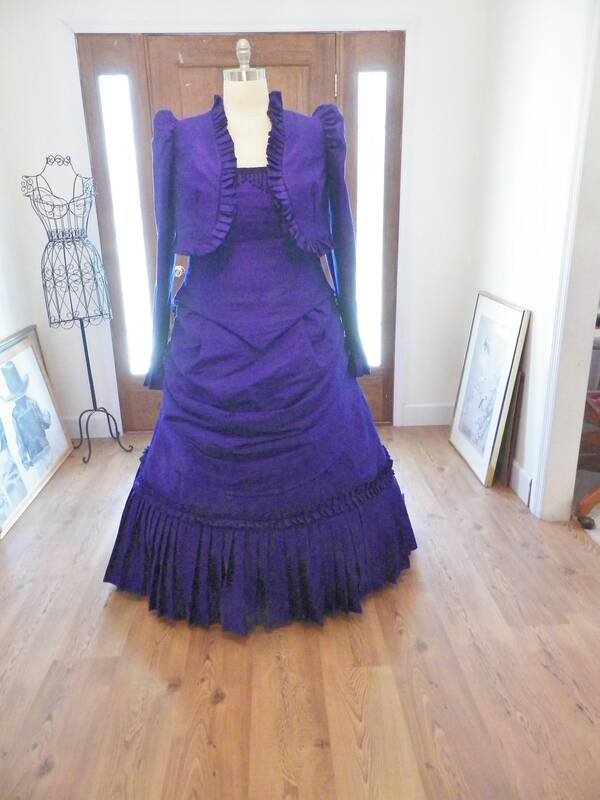 The dress set is ideal for Victorian events, Gothic and Steampunk events, weddings, balls, teas, promenade, Mardi Gras,Venice Carnival, and many more events. 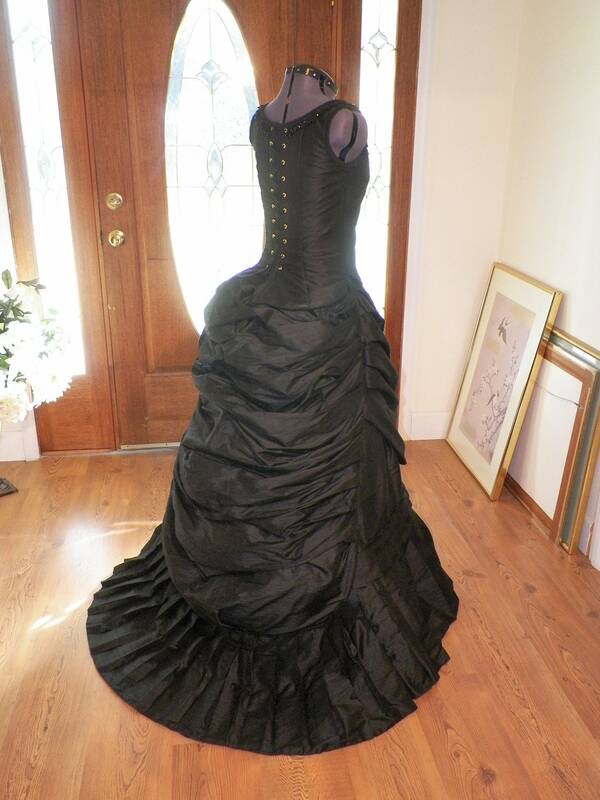 I only make this dress in pure silk to maintain the very rich provocative Victorian lady like looks. Please allow 6 to 8 weeks for building this beautiful masterpeice for you. Dresses of this type are very involved, and require a great deal of focus and attention. I ship US Postal Service since the rates are lower. Please convo me if you prefer the other shippers,UPS, FedEx and DHL. Split payments(layaway) are accepted. I would simply create 3 or 4 reserved special listings for you. 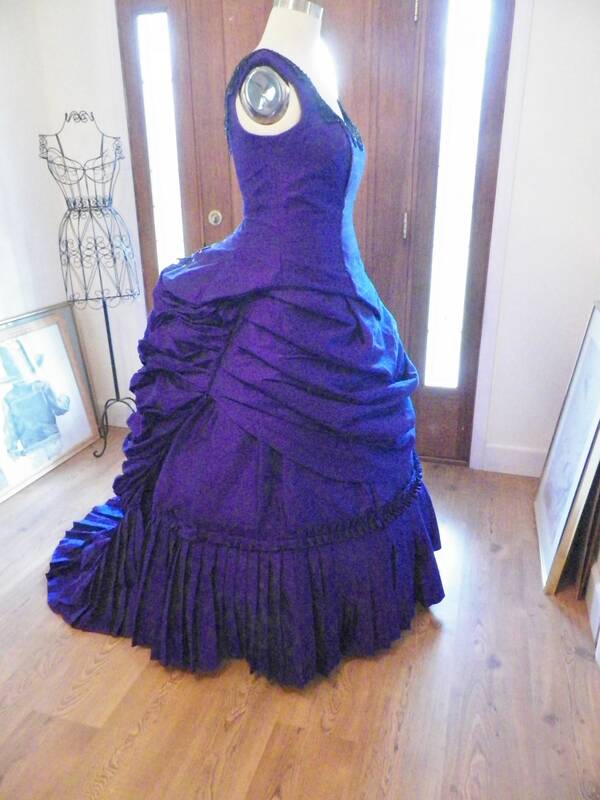 It is amazing to see the progression of the dress, and therefore, I email photos as each peice is completed. If you want your dress shipped on time, please have the following measurements to me in 3 days. Not 3 weeks, but 3 DAYS. I will convo to you an updated measurement list, with pictures of how to measure. Please contact me if you want the dress made in another color. Contact me with your questions, I normally answer within 6 to 8 hours. Thanks for enjoying looking at the items that I create. Please comeback again. Remember...the sooner I have your measurements, the faster I can complete and ship. 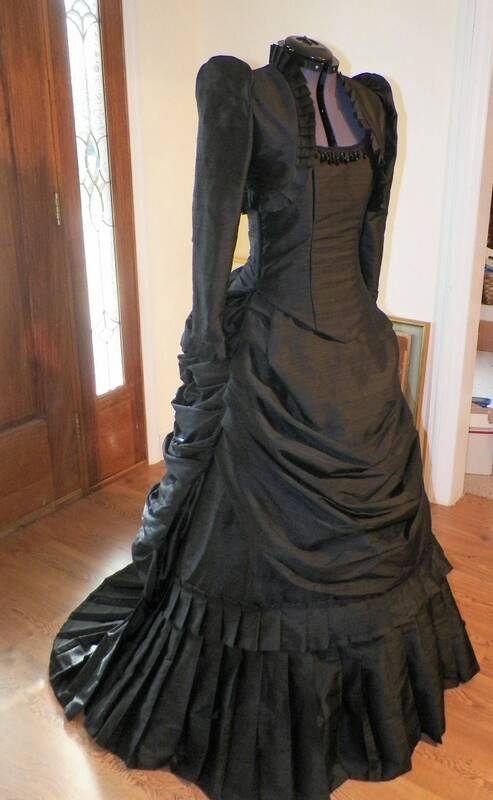 The dress ensemble must be shipped in a larger box. For overseas orders. please note that customs inspection are required, and customs fees can be extra added expense. Please contact me with your questions. Thanks again for looking and for shopping.